Antony, 30 Aug 2012where are the quad-core processors ??? totally disappointed :( Dude, nobody needs quad cores, when u have dual core kraits. Havent you read the benchmarks. Antony, 30 Aug 2012where are the quad-core processors ??? totally disappointed :( Dual Core of Xperia T and TX beats the quad Core of GS3. It's Dual Core Krait bratha! Any credible information on the release days of these phones in Thailand and Germany? Oh my, what's happening to Sony? They're becoming another Samsung, cranking out phone after phone that have almost nothing to differentiate between them. What's the point of having both the T and TX? Just LTE? How's the V different from the older Acro S? gsmarena : we want to know the battery test review.. These phones have dual core processors and benchmarks show that are more powerful than quadcore phones. I am really excited but I would to see their price first. 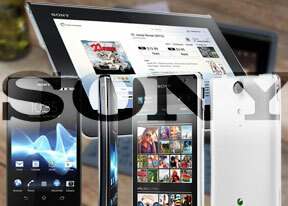 Sony and LG going to lead Android devices. where are the quad-core processors ??? Anybody knows of a 4'' or 3.7 '' screen size water resistant phone that also has good specs and nfc? Xperia v or acro s look great but are a bit too big for me. sony made great phones i do think they have some of the best phones on the market. my only problem is that they make to much phones that are similar. if they were to make the same approach as iPhone they would of been the top contender. Looks like I found my next phone in Xperia V. I hope it will be available here in UAE. But I would still wait for some Windows 8 phone by Nokia announcements while waiting for this monster then I'll choose. Updated info is its not s3!!!!! Wow the V and Xperia Tablet are amazing!! Good work Sony keep them coming!